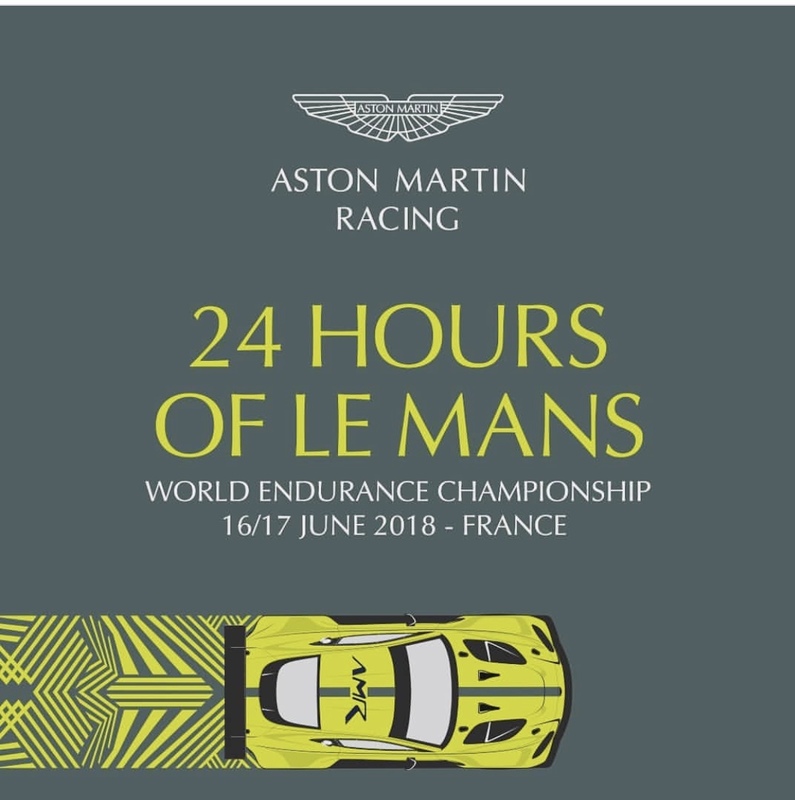 Its been a busy twenty four hours for Aston Martin Racing over in Le Mans as various announcements have come out from both the team and series, announcements that will help sculpt the path along which the team will follow moving forward - not just in the this 24hour race but as a whole. 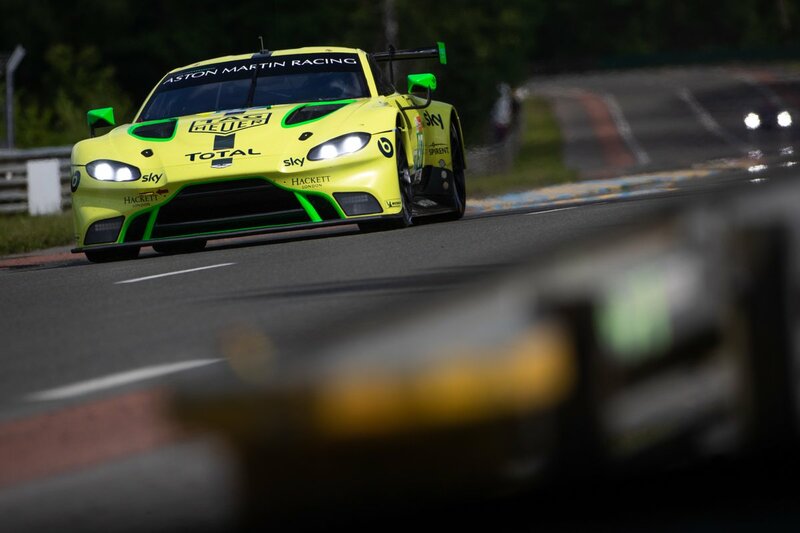 First came the news that the ACO had indeed addressed an apparent imbalance with the Balance of Performance across the GTE Pro range where the new Aston Martin Racing GTE received the biggest number of adjustments compared its competitors - an increase in turbo boost across the rev range and a larger permitted fuel load. That was all well and good if it hadn't been for the further incomprehensible adjustments to all the other OEM cars except for the Porsche - which happens to be celebrating a significant anniversary year! Five seconds is a great deal of time to be able to make up on track and we can already see from this afternoons first (and only) Free Practice session that the two AMR Pro cars have indeed moved forward in lap times - but so have the others so the #95 and #97 cars are still three seconds in arrears. despite the whole wrath of changes in that class. Only time will tell we suppose ..............................!! This mornings news from the team was final confirmation of the partnering with Sky as the marques official media partner. 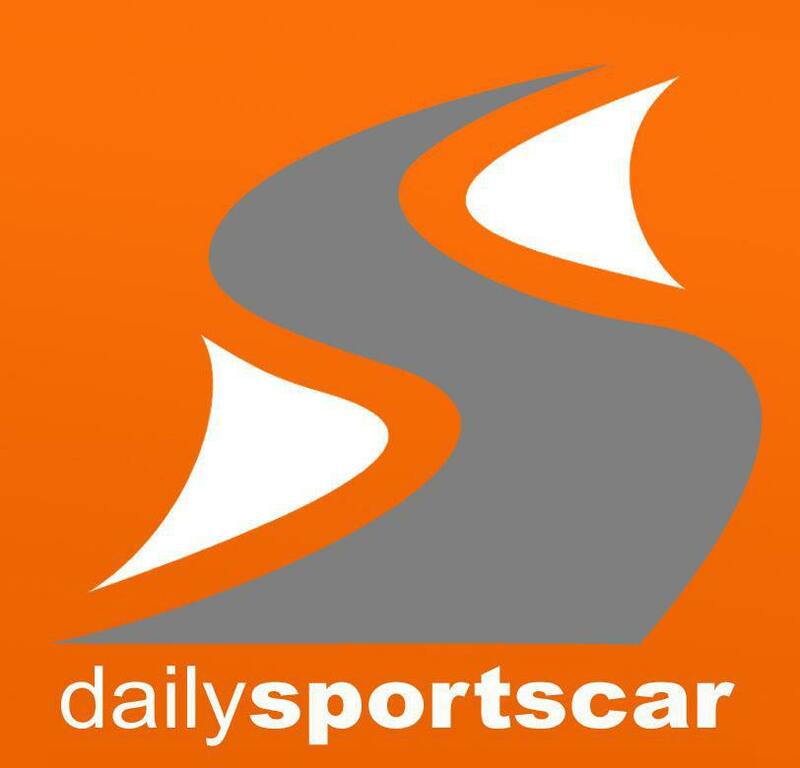 Clues to this had been visible for some weeks - the Sky logo was clearly visible on the transporter as AMR visited Snetterton the week before the LM24 Official test for example so although commercially significant, it wasn't front page news! Sky logos will also be visible on all of the AMR cars entered into the Le Mans 24hours and going further into this new Super-season from the FIA. The V8 Vantage GT4 as driven by Sir Chris Hoy and Martin Brundle in Saturdays Aston Martin Racing Festival will also carrying the logo. 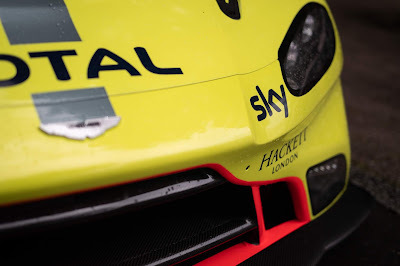 Finally, the most exciting news of the day (or non news to be exact) was the publishing of photos of the new AMR Vantage GT4 and GT3 that both have a physical presence within the Festival paddock but these did not come from the team. We understand that the cars were due to be revealed at 15.30hrs this afternoon but for some reason that didn't take place as apparently planned. Months ago there had also been some hype as to one of Aston Martin's Valkyrie hyper-cars leading the Festival field around the Circuit de La Sarthe - that doesn't appear to have any degree of reliability anymore so maybe (just maybe) the two latest recruits from the Aston Martin Racing empire will take to the field instead? We ourselves now have a very early start tomorrow whilst we embark on our annual pilgrimage to Le Mans - let the good times roll!